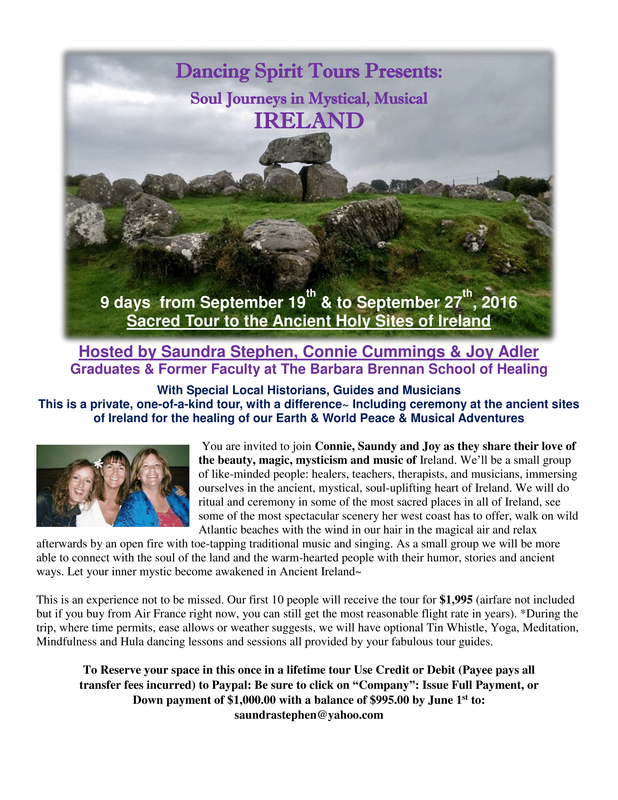 Join a Sacred Rose Quest with Aluna Joy and Marcus Mason, while traveling to Life Altering Stone Circles, Otherworldly Crop Circles,Deeply Healing Sacred Wells, Peaceful Standing Stones, Ancient Cairns, Powerful Ley Lines, Magical Caves, Timeless Chapels and Castles. For more information, go to the Aluna Joy website. This event brings together a group of elders and presenters on the beautiful and sacred grounds of the Blue Deer Center located in the Catskill Mountains (a short three hour drive from New York City). The land itself and the magnificent mountain stream that flows through it provide an inspiring and rejuvenating backdrop for our program. 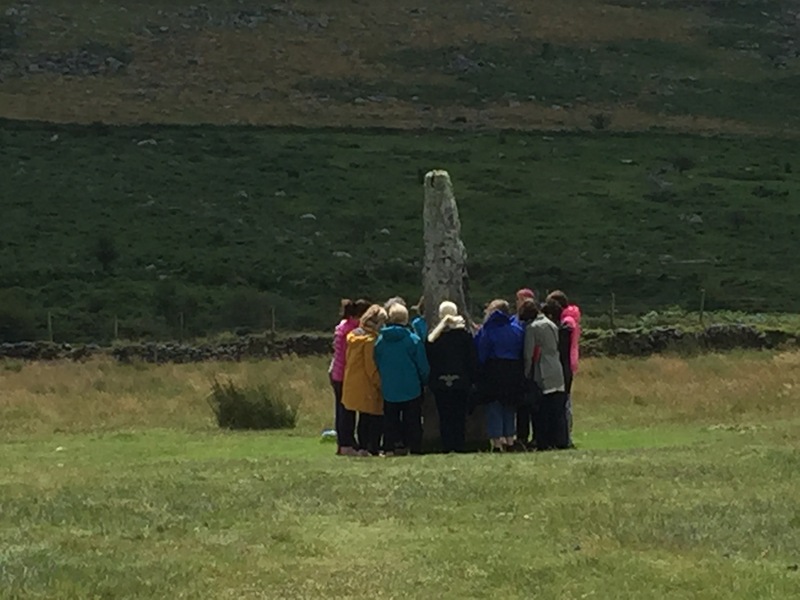 This gathering is a rare opportunity to experience life in a community connected to the living world by the presence of the elder voices, the laughter of children, and the songs of the winds and the sacred stream. 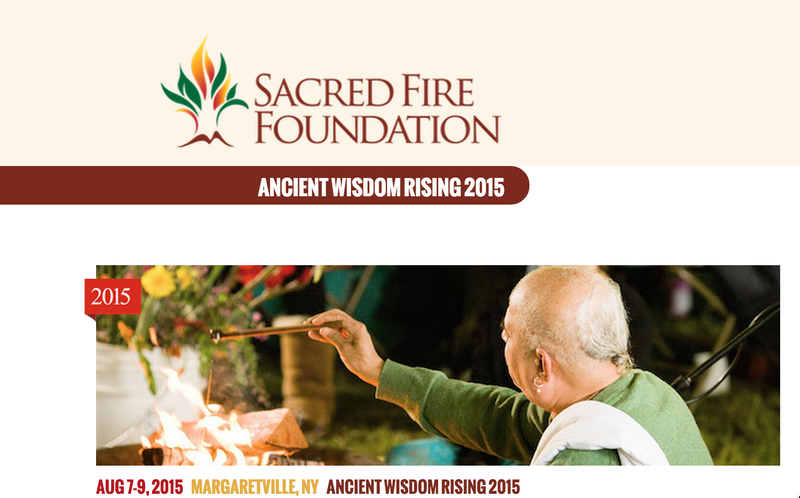 For more information go the Sacred Fire Foundation website. For more information go the the Sedona Creative Life Center website here. Spring Soltice CD Release Concert - "Community Heartshare"
The Center for Natural Wellness 3 Cerone Commercial Drive, Albany, NY. 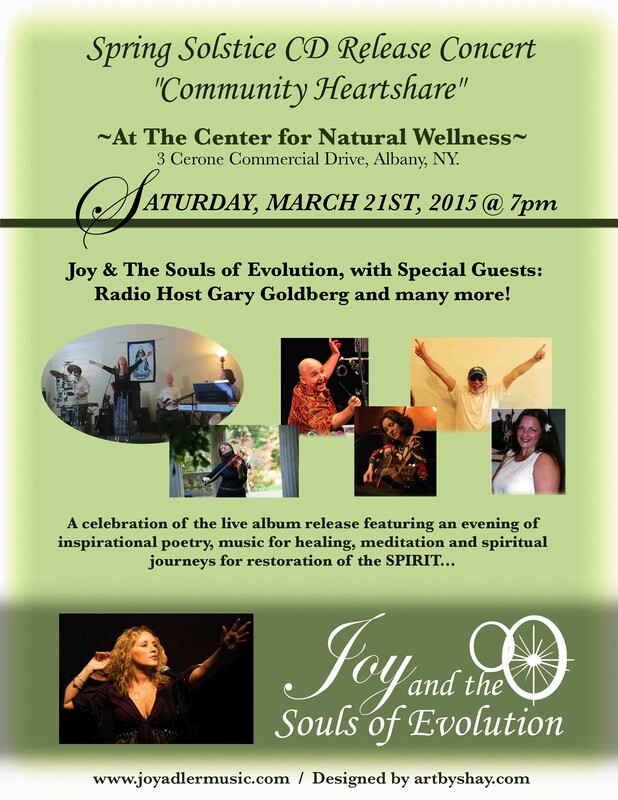 Joy & The Souls of Evolution, with Special Guests, Gary Goldberg, Director of CNW, Lisa Satalino. Administrator of Teachers at CNW, Author and Musician, Cindy Moorcroft and her Drum Group, and more! More information click here. As part of this unique TeleSummit, we bring to you honored Mayan wisdom keepers, scientists and spiritual leaders from Guatemala who would like to speak about this sacred and important time for the Maya. We specifically asked them to share with the world from their own experiences and perspective about the significance of this transition as descendants of the ancient Maya who have carried these oral traditions. 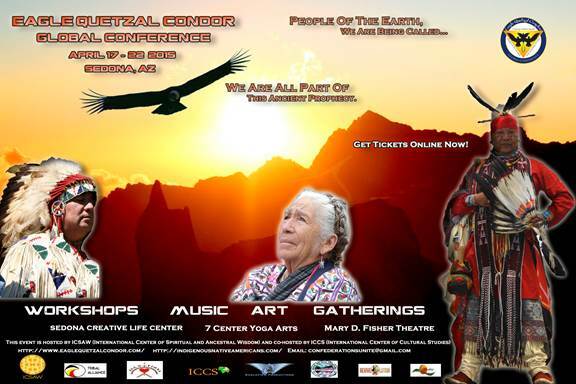 Be a part of the 14th annual multicultural gathering bringing dance, sacred ceremonies, inspiring words from indigenous culture’s elders, and healing to attendees who come and participate for 4 days with this wonderful community at the foothills of the sacred mountain, Cuchuma. Journey into Sacred Alignment with the Cosmos and PachaMama on 11-11-11 where WE are the keys to the Golden Sun Disc Portal Activation at Lake Titicaca. 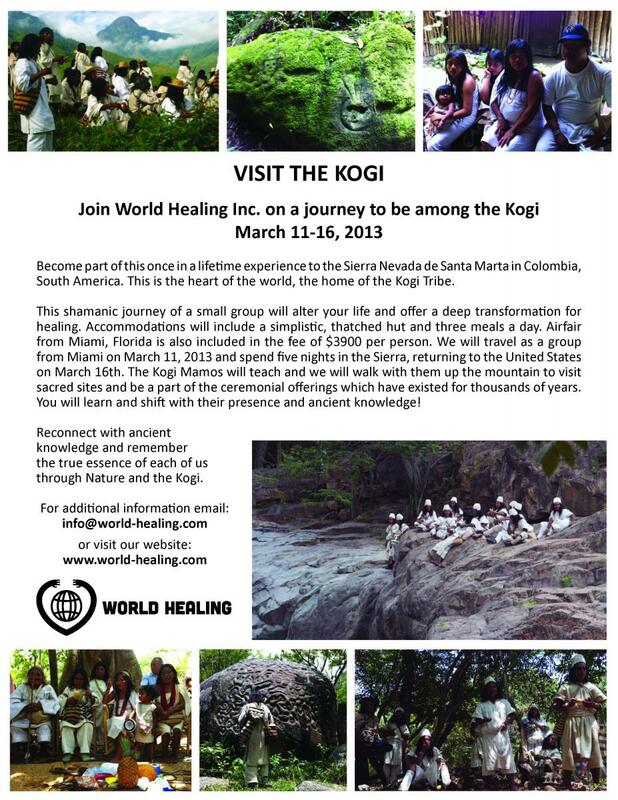 For the indigenous peoples living in Colombia´s Sierra Nevada de Santa Marta: Kogi, Wiwa, Arhuaco and Kankuamo, sustaining the balance of the spiritual and physical world is their sacred task, they are guardians of the earth and have managed to live in harmony with the planet for hundreds of years. For these four indigenous groups, the Sierra Nevada of Santa Marta is the beating heart of the world, the spirit`s temple, and is where wealth and sustenance of the spirit is. Likewise, in the Sierra Nevada dwell the spiritual father and mother of water, wind, fire and earth of mankind who sustain life on this planet. The Mamos (highly trained ritual priests) have felt that is the time to teach and share, among different cultures, the spiritual knowledge that leads to a new consciousness. It's time to listen and learn from our elder brothers. In their wisdom are ancient records of human history and ancestral memory that reminds us how to live in harmony, which contributes to our transformation as a human race and invites us to a new and conscious way of living. Additional details on the the indigenous peoples living in Colombia´s Sierra Nevada de Santa Marta: Kogi, Wiwa, Arhuaco and Kankuamo here are some documents in pdf format you can download. The first document is in English and was created by the indigenous Organization Gonawindúa Tayrona to show the scope of the Environmental and Traditional corridor of the Sierra Nevada de Santa Marta project. Click here for this pdf file with beautiful high definition photos. The 6th Annual Wisdom Keeper & Youth Council includes Ceremonies & Teachings from Wisdom Keepers from many different parts of the world. For more information visit the Earth Peoples United website. For the past 12 years, SEED has hosted a meeting of the minds between quantum physicists, Native American scholars, and linguists to discuss the underlying principles of the Universe, based on a mutual respect for their differences in worldviews. The format followed the late David Bohm’s work “On Dialogue,” and was brought to Albuquerque and SEED in 1999, by Dan Moonhawk Alford, an accomplished linguist. This open, public exchange continues to grow around the important issues of how the Universe operates and our roles and responsibilities as Human Beings within our Universe. For more information visit the SEED Graduate Institute website. THE EARTH DAY RAINBOW TRIBE RETREAT is a gathering of people from all over the globe who feel the calling to AWAKEN THE ANCIENT SHAMANIC TRADITIONS OF THEIR ANCESTORS. This gathering will be lead by Patricia WhiteBuffalo. We will be coming together as one tribe from many nations to participate in several Shamanic traditions for personal and Earth healings such as; Journeying, Soul Retrieval, Walking the Medicine Wheel, Shamanic Sound Healing, Drumming and Trance Dance. For more information visit the Patricia WhiteBuffalo's website. Be a part of the 13th annual multicultural gathering bringing dance, sacred ceremonies, inspiring words from indigenous culture’s elders, and healing to attendees who come and participate for 4 days with this wonderful community at the foothills of the sacred mountain, Cuchuma. For more information on this event, or to register, visit www.earthdance8.org. The Ancient Wisdom Gathering sponsored by the Sacred Fire Foundation, will introduce a new way of being that is just, sustainable and full of joy and meaning to inspiring us during these turbulent times to live differently. Experience the living world with these seven elders, Tata Erik Gonzalex, Sobonfu Some, Whaea Raina Ferris, Kawan Sangaa Woody Morrison, Vedamurti Shri Vivek Shastri L. Godbole, Grandmother Sara (Smith) and Tsaurirrkame Eliot Cowan, represent ancient traditions from the world’s four directions. They will relate experiences and traditional knowledge in 3 days of keynote presentations, concurrent sessions and interactive workshops. Several sessions will be held around the sacred fire that will burn day and night. 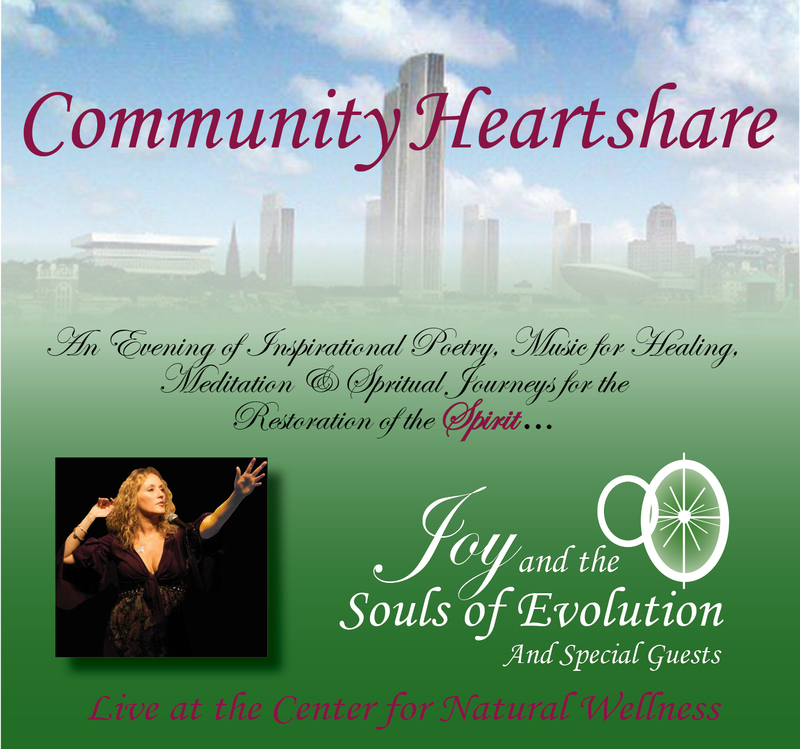 For more information on this event, or to register, visit www.ancientwisdomrising.com. A highly experiential five-day retreat for serious change agents will activate every level of your body, mind, and soul. You will be served through a deep journey that will help you awaken to a full-spectrum sacred life, one that is filled with joy, magic, and service to the larger changes of our day. Daily engagement with the foremost visionaries, change agents, and evolutionary catalysts of today, all helping you to understand the extraordinary birth humanity is undergoing and how you can play your highest role. They will each offer their deepest insights and practical guidance to help you expand your mind, open your heart, and express your soul's greatest gifts. The week's journey will be woven into a cohesive narrative that connects to the larger Shift of our day by conscious evolution pioneer Barbara Marx Hubbard, Stephen Dinan and Devaa Haley Mitchell of The Shift Network. For more information about this event, or to register, visit www.theshiftretreat.com/retreat/Retreat2011. Join us to explore how to most effectively transform yourself and the world. For more information on this event or to register, visit www.bioneers.org/campaigns/cultivating-womens-leadership/2011-cultivating-womens-leadership.